Ferrofish, the German manufacturer of conversion solutions for the pro audio, broadcast and integration markets, is showcasing its PULSE16 and PULSE16 MX recording interfaces at booth 14701 during the 2018 NAMM Show this week. The PULSE16 boasts 16 channels each of analogue input and output in a single rack space chassis. The full I/O is deliverable via ADAT at up to 96 kHz, while the PULSE16 MX adds MADI connectivity. The PULSE16 and PULSE16 MX adopt the latest features and AD/DA conversion of the company’s popular A32 Converter. The PULSE16 and PULSE16 MX’s 16 analogue inputs and 16 analogue outputs are available on TRS connectors and are capable of handling levels up to +20dBu, allowing easy integration into studio environments. At the core of both models is the Cirrus Logic conversion chip, providing 24 bit/96 kHz AD/DA conversion. 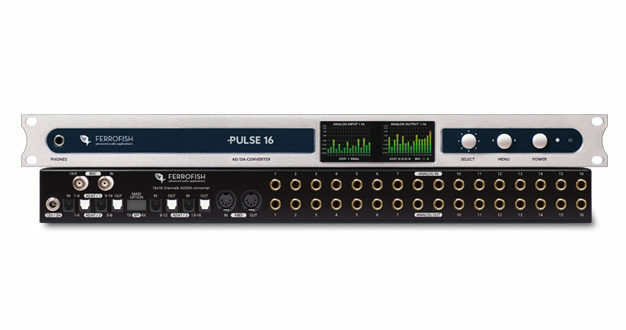 Dual ADAT I/O pairs handled by the PULSE16’s four TOSLINK ports enable digital delivery of the full 16×16 analogue channel count even at 96 kHz. MADI I/O, available on the PULSE16 MX or PULSE16 via an expansion card, expands the unit’s connectivity options further. 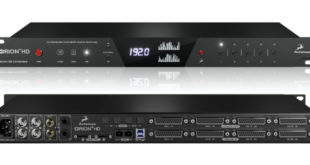 Included Wordclock I/O ports enable synching both PULSE16 models with other digital equipment, and MIDI I/O ports enable full remote control of interface functionality. The PULSE16 and PULSE16 MX utilise full signal monitoring and comprehensive routing control via dual TFT LCD displays on the front of the unit. 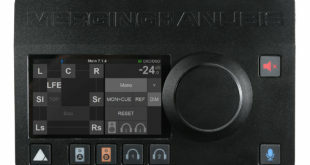 The displays can also provide detailed signal level readings for each channel, while a front-panel headphone output is available to allow easy monitoring of any stereo or mono signal passing through the interface on the fly. The always-on contextual help feature, made popular in Ferrofish’s A32 interface, is also available to make menu navigation a snap. 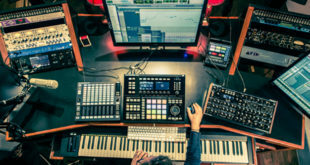 “We are looking forward to showcasing the PULSE16 and PULSE16 MX at this year’s NAMM show,” said Mathias von Heydekampf, managing director of Synthax, distributor of Ferrofish. 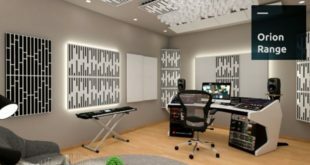 “With 16 channels of input and output, the PULSE16 will more than meet the needs of home and project studios for multitrack recording and routing to outboard signal processing.